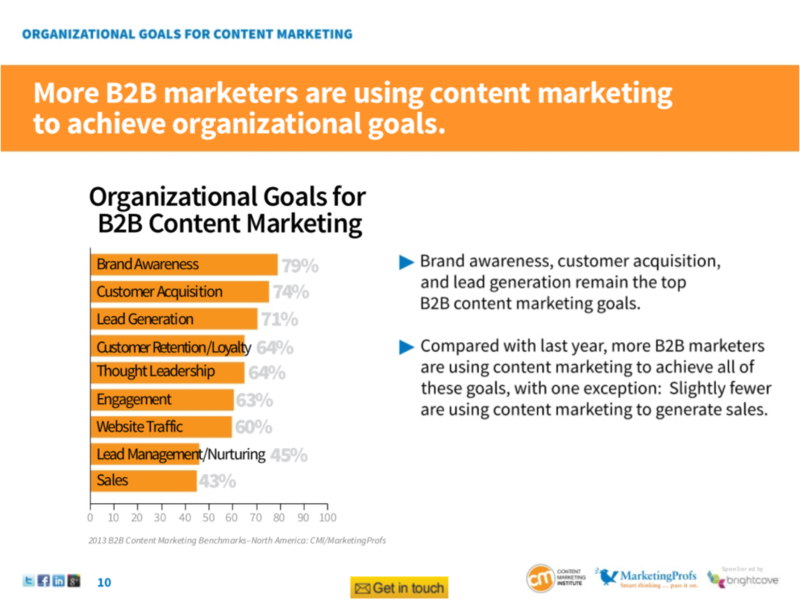 More and more, organizations are using content marketing to drive customer action and achieve corporate goals such as brand awareness, customer acquisition, lead generation, and customer retention. Many effective content marketing programs are built around primary research on customer experience in an industry. But research and content development are not cheap, so companies shifting budget there. 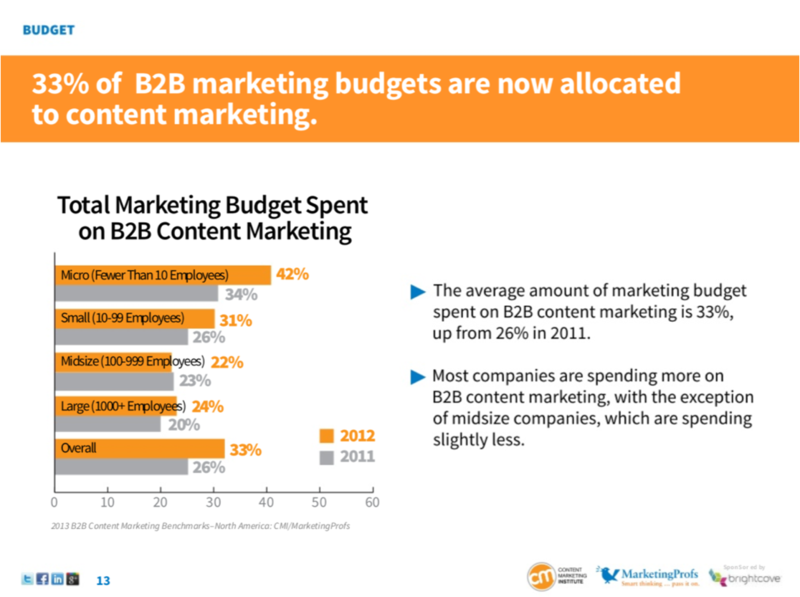 According to Marketing Profs’ 2013 B2B Content Marketing Report, the average spend is now 33%, up from 26% two years ago. Marketing Profs also reports that companies rated as “highly-effective” content marketers spend more money across more channels, tailor content to customer profiles, and plan to do more of those things. As we all know, companies don’t shift budgets this way without anticipation of ROI. Content marketing is becoming a mainstream marketing approach because it works. While I can’t reveal proprietary data, I can verify that the content marketing programs I have created for my employers have shown >400% ROI in the first year, have become part of brand and sales scripts by year two, and have started significant contract conversations by year three. In my experience, it pays to have your story straight. This entry was posted in B2B Marketing, Content Marketing, Customer Experience, Customer Experience Research, Thought Leadership, Uncategorized and tagged B2B Marketing, Content Marketing, Customer Experience, Thought Leadership. Bookmark the permalink. Hey Lorena, a very useful one, must admit. You have nailed it. All the do’s and don’ts provided by you in your article are a great insight to powerful Content Marketing Tactics. We at Tangerine Digital (www.tangerinedigital.com) be on the same line and accept that -“Content is King” and work in full flow towards achieving good quality, interesting and engaging Content for our clients at different Digital Platforms.